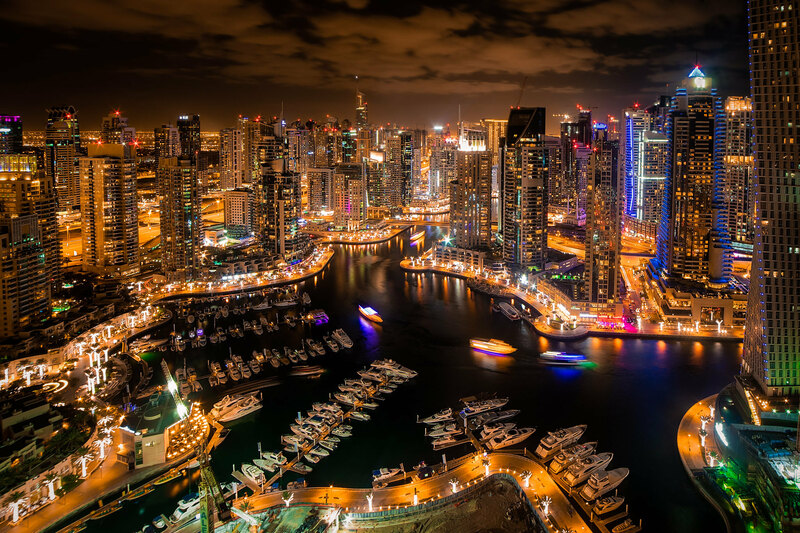 The United Arab Emirates city of Dubai has, in the past few years, become one of the world’s fastest-developing centres of both industry and leisure. 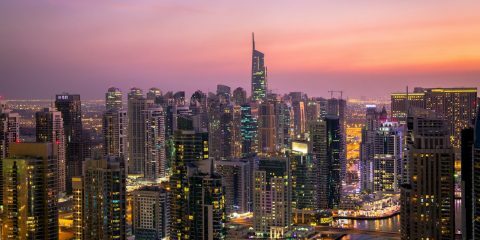 Along with the incredible attractions and global businesses that have made Dubai famous of late, perhaps its most well-known features are the many unique and imposing buildings that punctuate the city’s skyline. 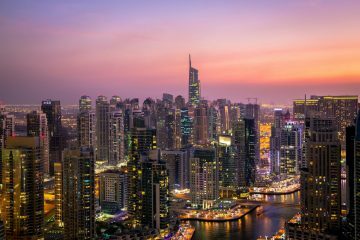 In this article, we take a closer look at a number of the most amazing buildings in Dubai, some details on what they are used for, and more information about what inspired the people behind them to start work on these extraordinary examples of modern architecture. 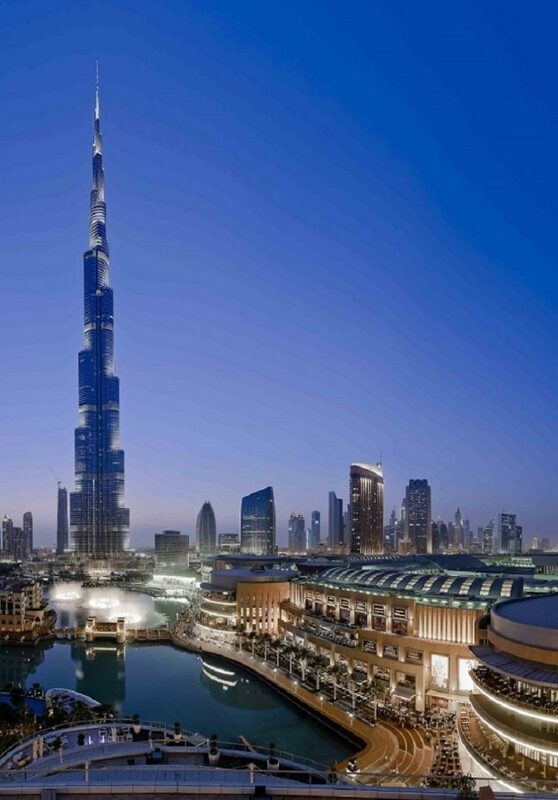 Even if you have never been to Dubai or do not have much of an interest in architecture, the chances are that you will already be familiar with the Burj Khalifa. 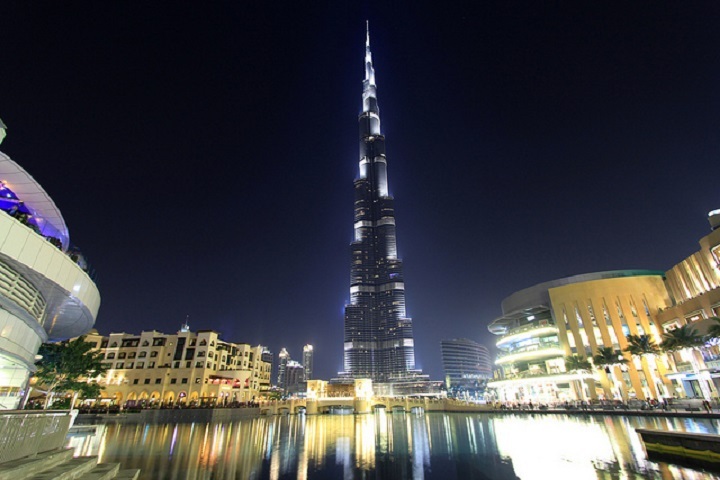 Officially the world’s tallest building, the Burj Khalifa was opened to great fanfare in 2010 and still welcomes well over one million visitors every year. 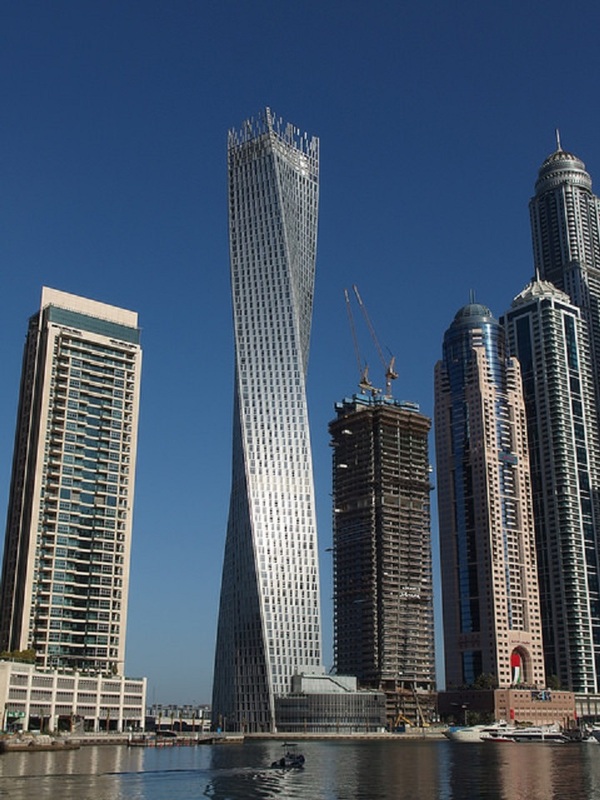 The building was intended to be a tangible symbol of Dubai’s progress, literally reaching to the sky, and it certainly caught the attention of the world’s media. Today, the Burj Khalifa is used for a variety of purposes. From residential apartments and offices to a hotel, nightclub and one of the world’s highest observation decks, the building’s uses are as diverse as its architecture is innovative. 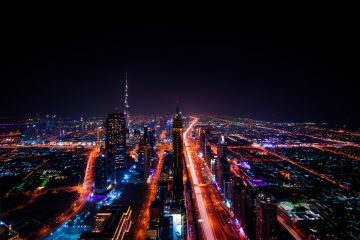 Travel blogger Suzanne Jones, who runs the popular The Travelbunny site, told us that whilst Dubai is “well known for its skyline full of futuristic buildings, skyscrapers and architectural wonders”, the Burj Khalifa is “an experience as well as a building”. “Outstanding views over Dubai and a lift that rockets up 10 metres per second”, Suzanne writes, “will make this a visit you won’t forget”. You can book tickets to visit the Burj Khalifa, including its incredible observation decks, by clicking here. 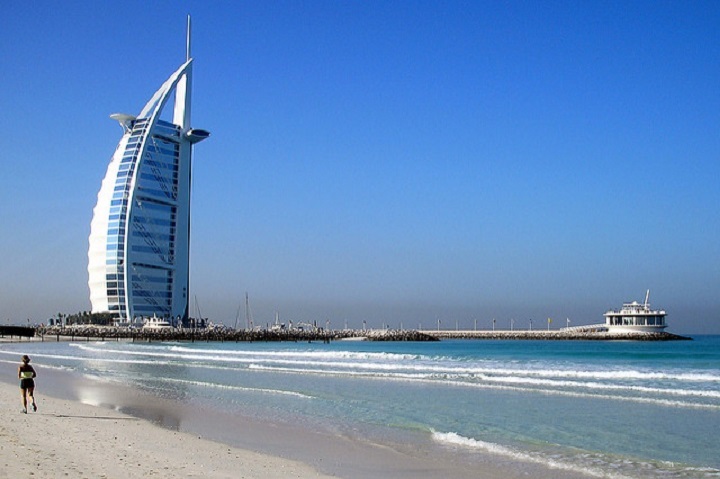 Perhaps the only structure in Dubai to rival Burj Khalifa in terms of its sheer fame is the Burj Al Arab. 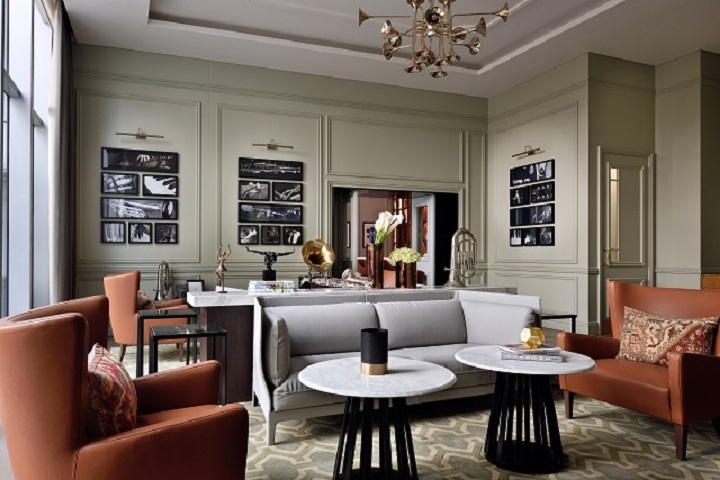 Known as arguably the world’s most luxurious hotel, its unique design captures the attention not only of guests but of anyone who happens to see it. Paul Johnson, owner of the popular A Luxury Travel Blog site, had the following to say about this extraordinary site: “One of the most iconic buildings in Dubai is the Burj Al Arab. It is one of the most distinctive hotels in the world and its design is based on the billowing sail of an Arab dhow – a traditional fishing vessel. Suzanne from The Travelbunny summed up how important the Burj Al Arab is to modern-day Dubai, simply noting that it is “synonymous with the city”. Unlike any other building on our list, the Cayan Tower is the only one whose purpose is entirely residential. A far cry from most of the apartment buildings we are used to in the UK, the tower boasts an impressive design that is instantly recognisable from its twisting, spiralling storeys. 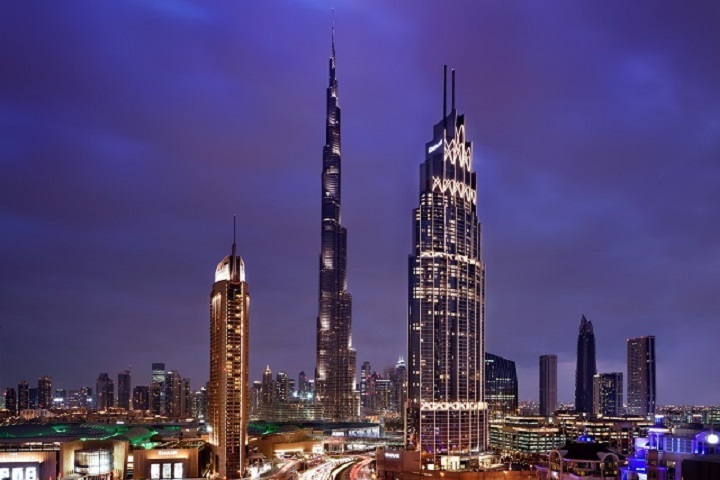 The second hotel on our list, Address Boulevard in Downtown Dubai, may be in the shadow of the Burj Khalifa but, even with this imposing rival, it still manages to stand out as a prominent part of the city’s skyline. A relatively new addition to Dubai, the hotel was opened in March 2017 and is an elegant addition to the already busy cityscape. Art deco in design – and therefore something of a rarity in Dubai – the building is 72 storeys of curvilinear beauty which has certainly added a fresh ingredient to the city, both for its architecture and its many interior highlights. Another fantastic aspect of the Address Boulevard is that it is physically linked with the Dubai Mall, which can be reached through a purpose-built, fully air conditioned walkway leading off from the hotel’s lobby. Speaking of the Dubai Mall, we could not finish our look at the city’s most amazing structures without paying a visit to the world’s largest shopping centre. Although an interesting and unusually shaped building, the mall is most notable for the sheer size of its interior space, which extends to an incredible 5.9 million square feet – 3.77 million of which is designated as leasable retail space. 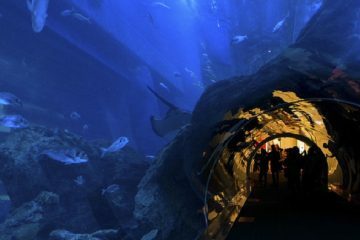 More than 1,200 retail outlets operate from the Dubai Mall, alongside a wide range of entertainment and dining facilities, such as the Dubai Aquarium and Underwater Zoo and the Dubai Ice Rink. 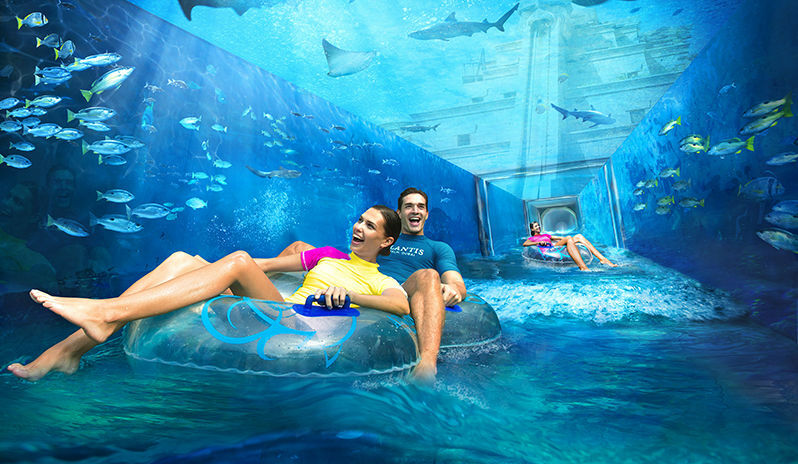 The logistical difficulty of including, for example, an entertainment complex that is home to thousands of aquatic animals and a 270-degree underwater tunnel within a mall is just another example of Dubai’s limitless ambition when it comes to entertaining its visitors. A major expansion of the already sprawling mall is currently underway, which should see its number of annual visitors rise from around 80 million to over 100 million. Finally, we must mention a construction that may not actually be a building but is nevertheless a noteworthy feat of engineering and, due to its proximity with many of the other places on our list, simply cannot be omitted. The Dubai Fountain can be found right outside the mall and must be seen by anyone who plans to take a trip to the area soon. The tallest performing fountain in the world, it is 424 metres long and the main feature of the Burj Lake, which covers an area equivalent to 18 football fields. Making use of the largest and most sophisticated colour projection system in the world, the fountain is operated with the help of some truly impressive technology, including 6,600 ‘superlights’, 25 colour projectors, 344 underwater robots and 1,137 water ‘shooters’. Before the Dubai Fountain opened in 2009, the world’s most famous such choreographed attraction was surely the Fountains of Bellagio in Las Vegas. To put the Dubai achievement into context, its connected load of water is approximately 145% more than that of its American counterpart. 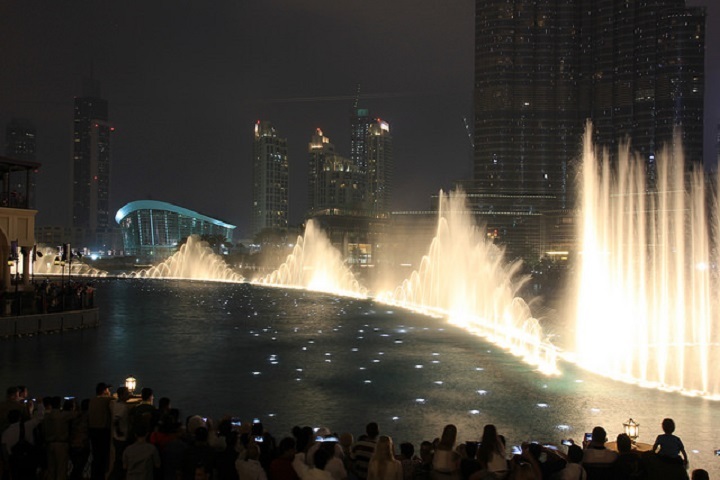 You can buy tickets to see the fountain up close whilst on your next break in Dubai, but Suzanne at The Travelbunny recommends watching its dazzling display from one of the nearby observation decks at the Burj Khalifa: “Go at dusk to see the city light up before you and witness the dancing fountains far below”.